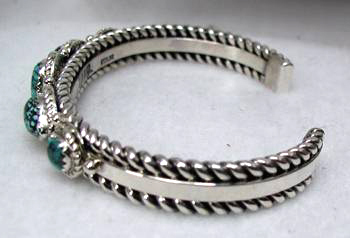 An elegant, fancy silver rope (twisted wire) bracelet with 5 spiderweb matrix turquoise stones. Very beautiful stones. Teardrop stones offset the oval stones.